Who can be in the courtroom during my DCP&P case? DCP&P proceedings are confidential and closed to the public, but the courtroom will have microphones in place to tape record all of the hearings in their entirety. But, in addition to the parents, there will be a number of other people present during a DCP&P case: the Judge, attorneys, the court clerk, the Judge’s law clerk, County Sheriff’s officers, the and the Division case worker assigned to the parent’s case. Generally, other than attorneys waiting to be heard on other cases and court staff, no one other than those directly involved in your case will be permitted in the courtroom while the Judge is hearing your case. The DYFS defense lawyers at the Tormey Law Firm LLC are ready and able to assist you in dealing with the Division of Child Protection and Permanency (known as “DCP&P”) in New Jersey. Brent DiMarco, one of our lawyers, worked for two of the largest DYFS defense firms in the state of NJ before joining the Tormey Law Firm in 2018. Now, he uses his expertise and experience to defend our clients dealing with an allegation of abuse or neglect. Protect your rights, your family, and your future: contact our experienced DCPP defense lawyers today for immediate assistance at (908)-356-6900. We represent clients throughout NJ including in Maplewood, West Orange, Montclair, and Cedar Grove. The initial consultation is always provided free of charge. Who will be allowed in the courtroom during DYFS trials in NJ? When the Division of Child Protection and Permanency files a Complaint for an Order to Investigate, a Complaint for Custody under Title 9 or Title 30, a Complaint for Care and Supervision, or a Complaint for Guardianship, the parents are named on the Complaint as defendants. The case caption will be: “The Division of Child Protection and Permanency, Plaintiffs v. Mother and Father, Defendants. In the Matter of the children.” Any of the Complaints that the Division may file will be filed in the New Jersey Superior Court, Chancery Division, Family Part, usually in the county where the family resides. A New Jersey Superior Court Family Court judge will preside over your case whether it is a protective services case or a guardianship matter because there are no juries involved in New Jersey family court hearings or trials. In some counties the judges’ caseload will be mostly DCP&P cases while in other counties the judges may handle a combination of matrimonial, child custody, child support, domestic violence, and DCP&P cases. 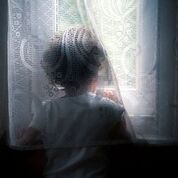 But regardless of the overall types of cases that a judge handles, the judges are well versed in the applicable case law, statutes, and court rules that apply to abuse and neglect, child welfare, and termination of parental rights cases. In addition to the judge, there will be attorneys to represent the Division of Child Protection and Permanency and a separate attorney to represent the child. A Deputy Attorney General will represent DCP&P’s legal interests and argue for the Division – whether it be to take custody of your children, require you to attend a particular service, or for the Court to approve a particular permanency plan. A Law Guardian, appointed by the Office of the Public Defender, will represent the child’s interests because children have their own rights, separate and apart from their parents – sometimes the Law Guardian agrees with the Division and sometimes the Law Guardian agrees with the parents. Thus, in many circumstances, parents may be fighting an uphill battle in DCP&P protective services and guardianship litigation and it is important to consider retaining a knowledgeable and experienced DCP&P defense attorney to protect your rights. Contact our offices anytime for a free consultation at (908)-356-6900.